Renters are looking a little older these days. Rental applicants tend to conjure up images of recent college grads looking to start their life in the real world. But Millennials are facing increased competition from people who have already spent decades in adulthood, and may have better credit and higher income. Since 2005, there has been an uptick in renters, with people in their 50s and 60s making up the largest chunk of the increase, according to a recent report from the Harvard Joint Center for Housing Studies. In fact, the majority of all renters are currently 40 or older. There are many reasons that the renter population includes a growing number of Gen-Xers and Baby Boomers. The 2008 housing collapse that led to a wave of foreclosures has turned some people off to homeownership, according to Jon Spader, senior research associate at the Joint Center for Housing Studies. He added that the tight credit market can also hinder renters from securing a home loan. Plus, not everyone wants to be a homeowner in their golden years, and the decision to trade a mortgage for a lease is about a new lifestyle, especially for empty-nesters. "They are leaving their homes and renting in a much more urban-type settings from the suburbs to be part of the activities and be mixed in with people of all ages," said Tiffany Curry, a real estate agent in Houston. "It gives them something to do if the kids are gone, or their spouses." The amenities that come in new rental buildings and their units are appealing to older renters. "They have everything they need in their building," she said. Renting also gets rid of the responsibilities that comes with home ownership, which can become burdensome as owners age. "It's about portability. They want to travel and don't want to be burdened by house payments and expenses and upkeep," said Cara Ameer, a real estate agent based in northeast Florida who in the past few years has seen a roughly 15% increase in boomer-aged clients looking to sell their home to become renters. Some older homeowners are also cashing in on the recent rise in home prices. "They want to take advantage of getting equity out of their home now, and not wait until they actually retire to move into the city and get a cool apartment," said Curry. But it's expensive to be a renter right now. 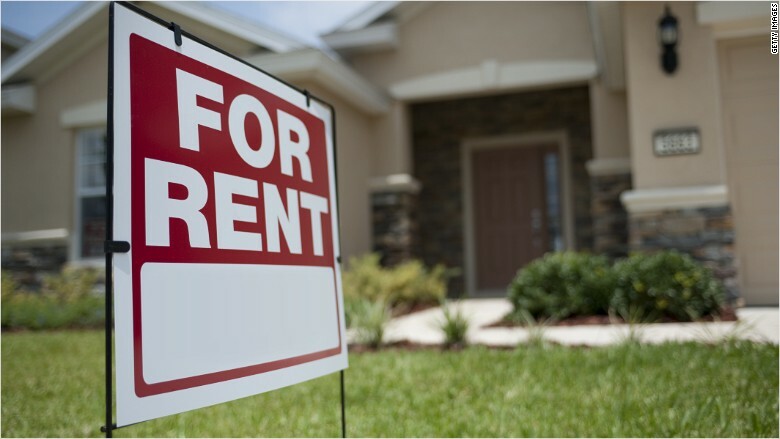 Rents have been on a tear recently as inventory remains tight and demand grows. That reality that has hit home for Sharon Curry, 68, who sold her home in 2013 and started to rent. She accepted an unsolicited offer on her home near Orange County, California, thinking the $200,000 profit she walked away with would beef up her nest egg. Instead, rising rent is eating up her budget. The rent for her one-bedroom apartment started at $1,670 in 2013. She's now paying $1,962, and she's worried it's going to continue to go up. While she is currently working, she knows she can't count on having that income forever. "I don't know how much longer I am going to be working, it's a conundrum."